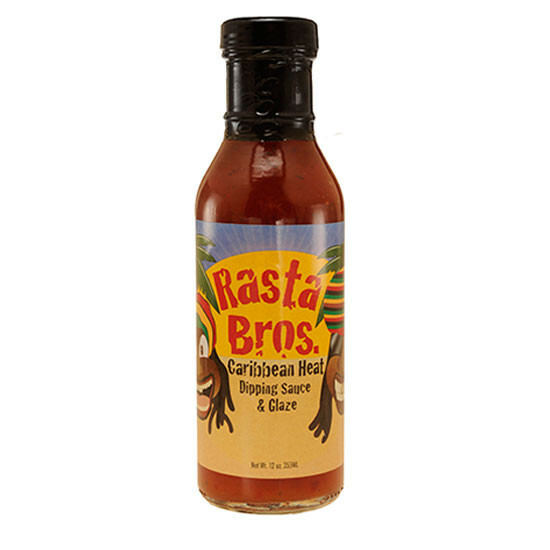 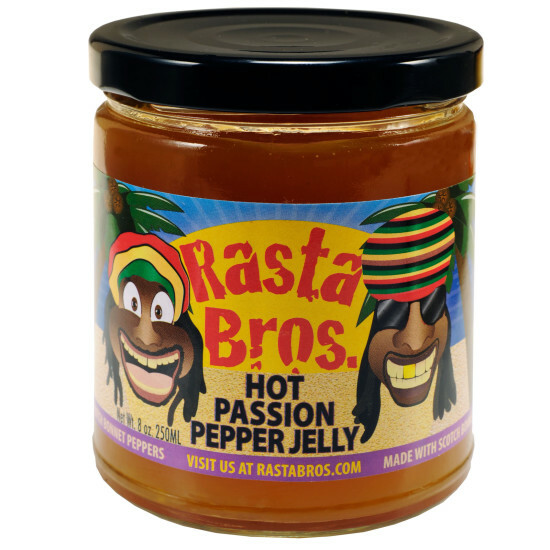 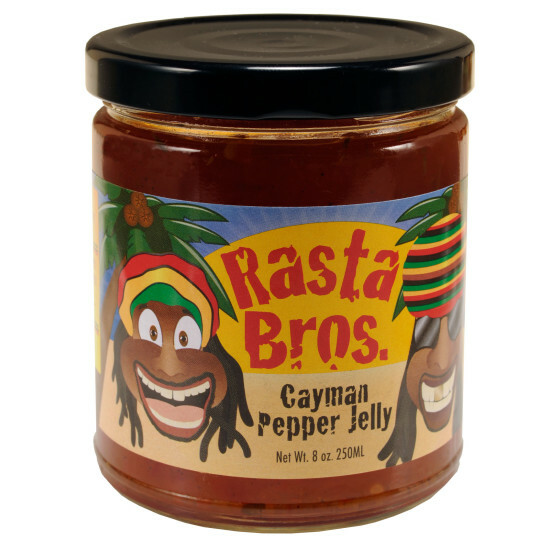 Caribbean Heat Dipping Sauce & Glaze | Rasta Bros. 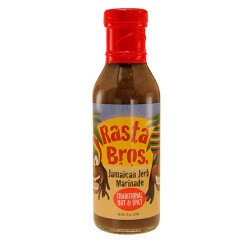 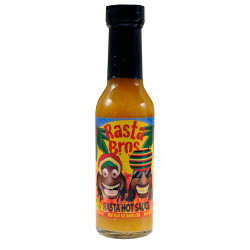 This sauce starts off with a sweet, spicy taste followed by a little bit of Scotch Bonnet burn. 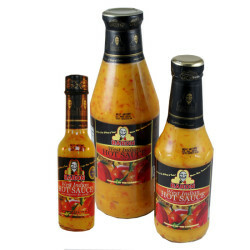 Use as a dipping sauce or finishing sauce for seafood, chicken or pork. 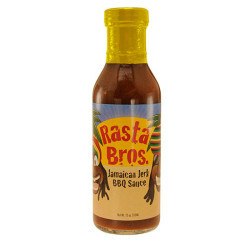 Awesome on jerk chicken wings, Cornish hens, salmon, scallops, coconut shrimp, ham, and kabobs. 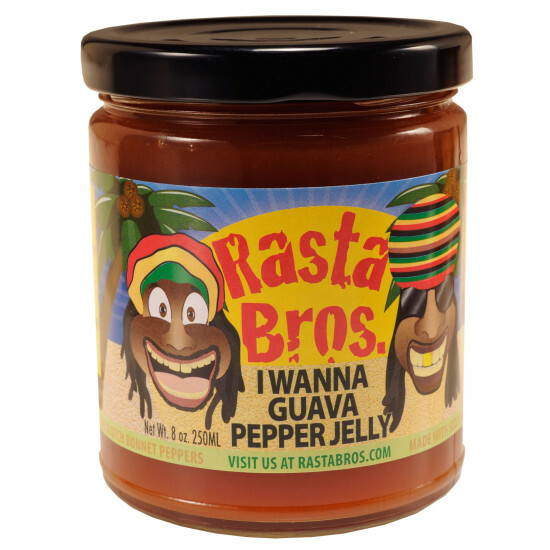 Just one taste and you’ll want to put it on everything. 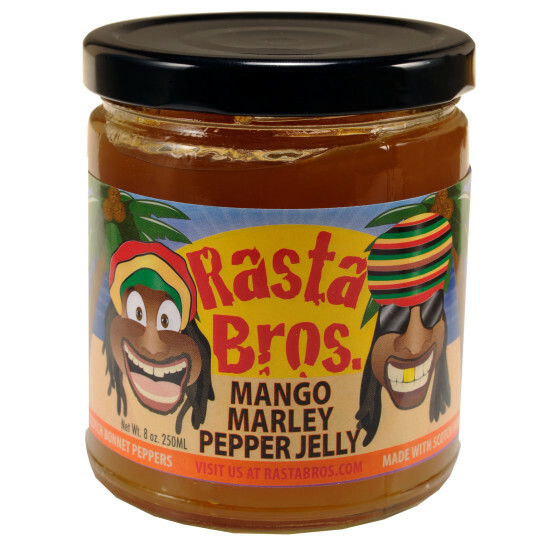 It’s good stuff, Mon!